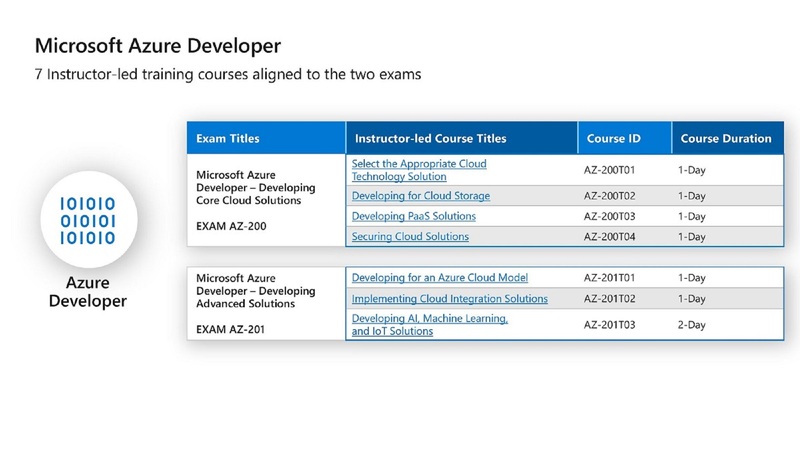 As of September 24th, 2018, there are two Associate level certifications and one Expert level certification available. 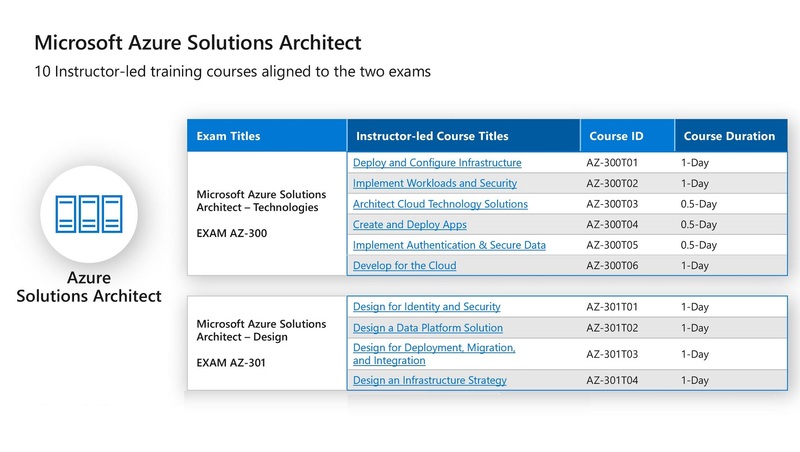 Each of these certifications will require two exams each. 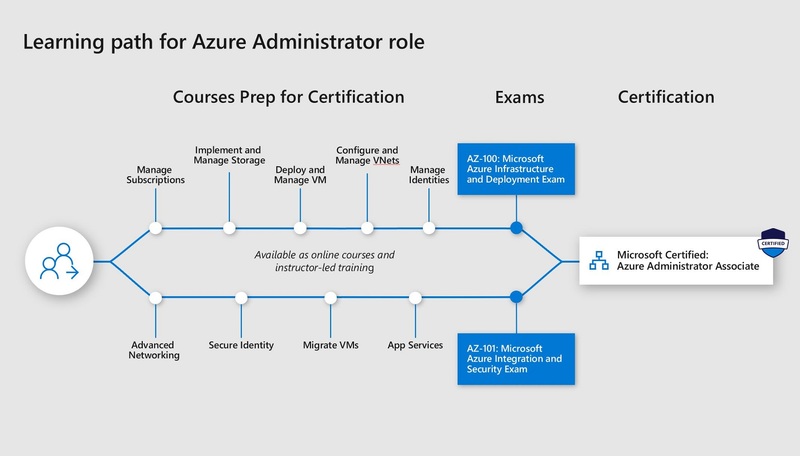 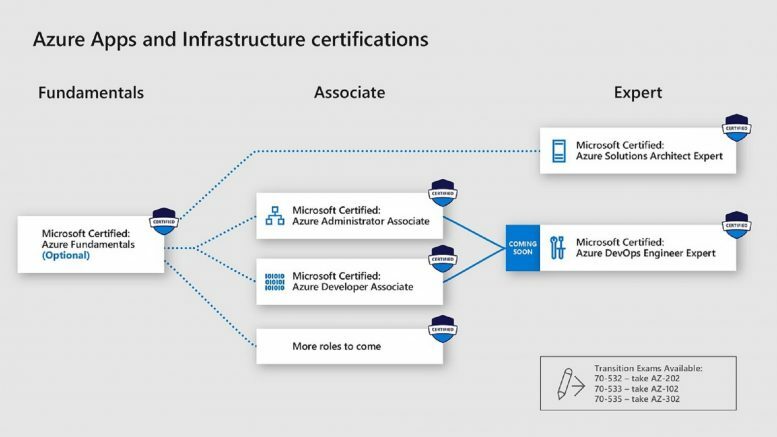 Additional Role-based Certifications will be released later this year for Azure DevOps Engineer Expert and Microsoft 365. 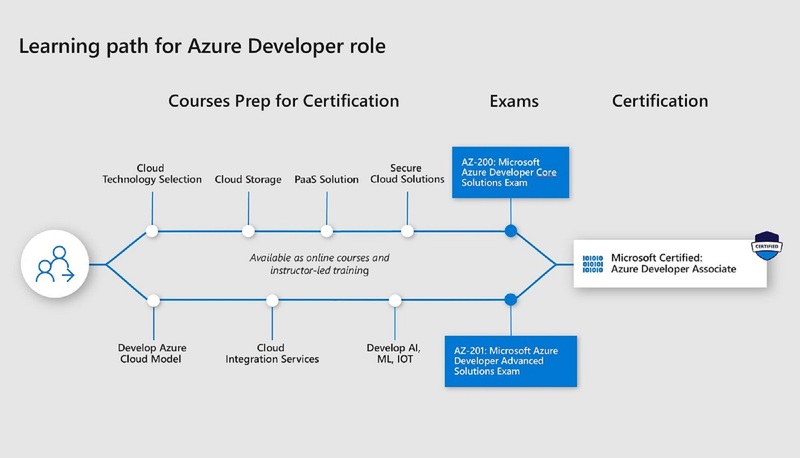 Microsoft Certified: Azure Developer Associate Certification, Exams, and Courses. 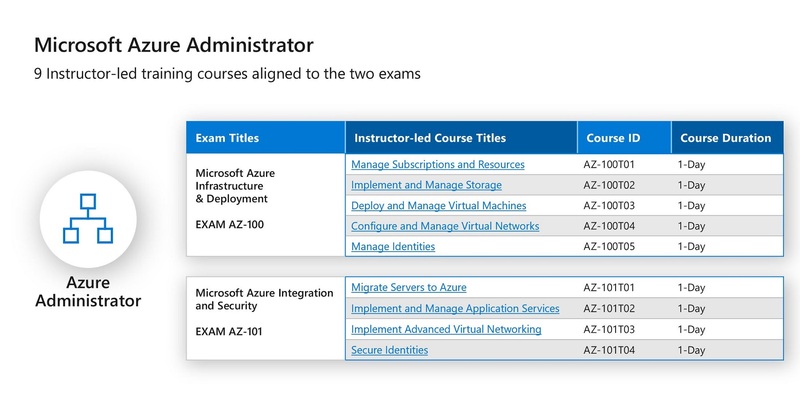 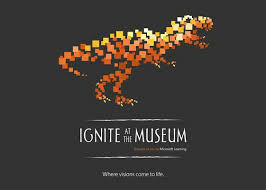 Microsoft Certified: Azure Administrator Associate Certification, Exams, and Courses. 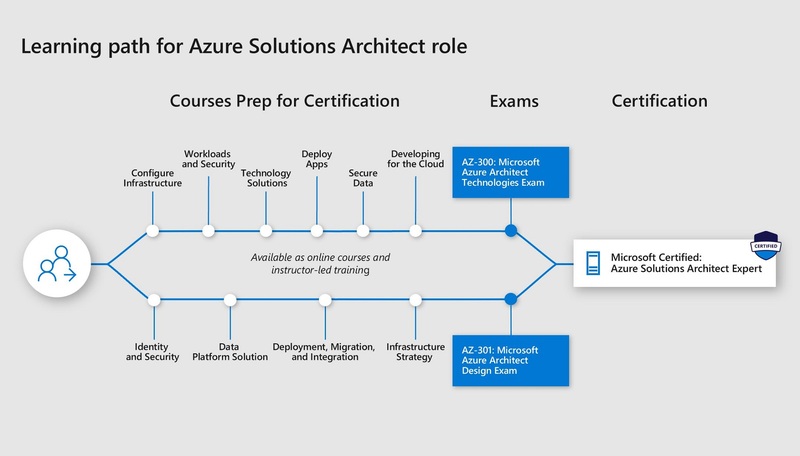 Microsoft Certified: Azure Solutions Architect Expert Certification, Exams, and Courses.